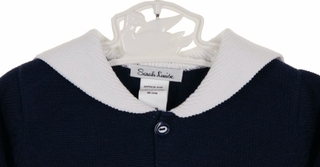 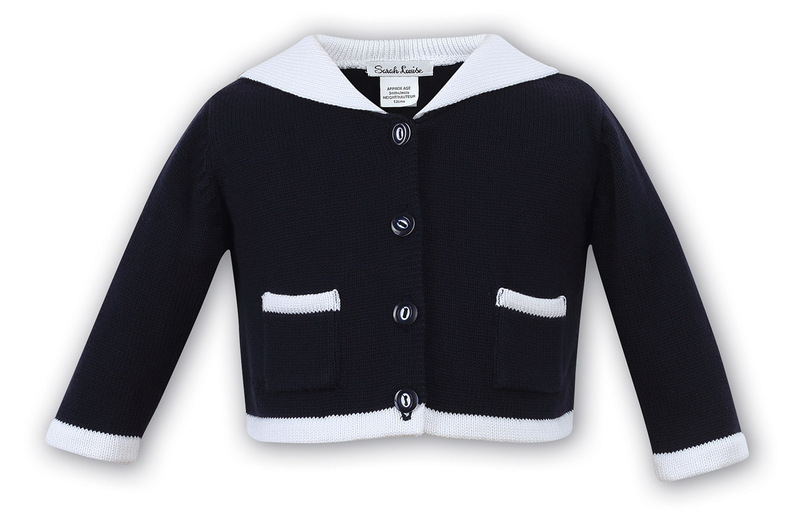 This beautiful new navy cardigan sweater is made by Sarah Louise, a leading British designer of beautifully detailed baby clothes for more than 20 years. 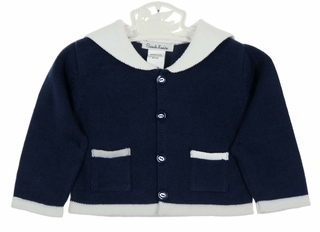 Made of cotton knit in cardigan style, it features a white sailor collar with white trim around the pockets, hem, and sleeves. It has a four button closure. 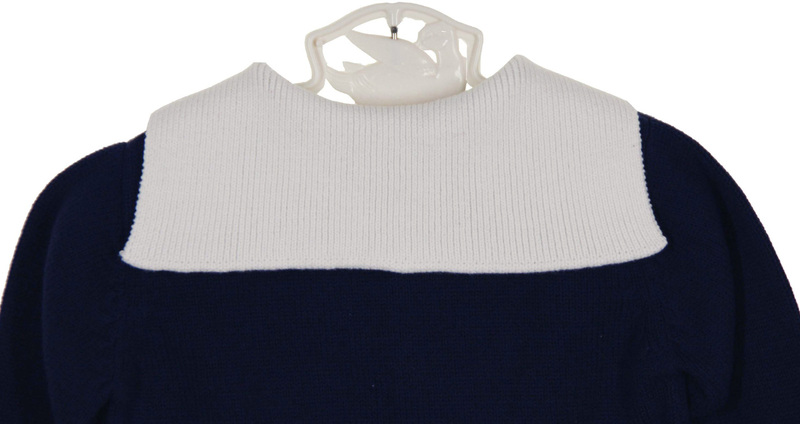 The perfect little sailor sweater for your baby boy or girl.